Courtesy of Angela R Clark, Design Homes & Development Co..
You x’re going to love this all new custom built Jocelyn floorplan with an semi-finished lower level! As you step into the foyer you will see why this home is a must-have. The large great room, with 11 x’ ceilings, is the central part of this incredible home. 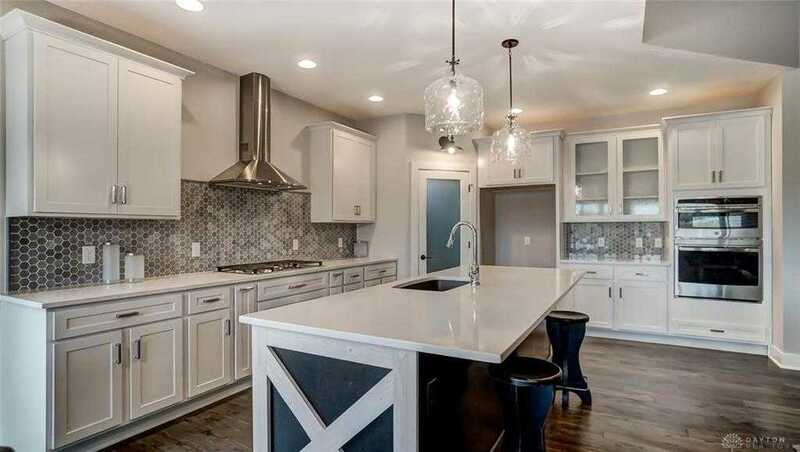 With an open floorplan to the kitchen this home is perfect for entertaining. The kitchen boasts a large walk-in pantry and dining area. The mud hall with a custom bench seat is perfect when coming in from the garage. The master bedroom provides a retreat after a long day with its own personal bathroom and spacious walk-in closet. The day-lighted rear, lower level features a fourth bedroom and wetbar in the large Rec Room. Covered rear deck with stained beadboard ceiling. House listed at time of ground breaking. Directions: From OH-48 turn on to Nutt Rd. turn left on to Sprinter x2019;s Crossing, then right on to Trotter’s Run. The house will be on the right. Please, send me more information on this property: MLS# 783886 – $498,900 – 1242 Trotter's Run, Washington Twp, OH 45458. I would like to schedule a private showing for this property: MLS# 783886 – $498,900 – 1242 Trotter's Run, Washington Twp, OH 45458.